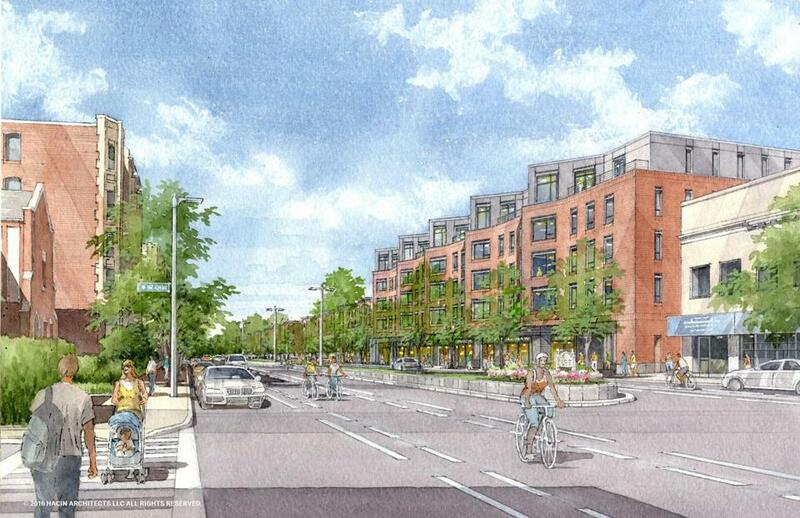 A proposed apartment building at Packard&apos;s Corner in Allston. One of Boston’s largest landlords is aiming to build 114 new apartments in its longtime home neighborhood of Allston. The Hamilton Co. filed preliminary plans Friday with the Boston Redevelopment Authority for a two-building apartment complex on Brighton Avenue and Gardner Street in Packard’s Corner. Along with a third building nearby at 40 Malvern St. that was recently approved by the BRA, Hamilton would bring $85 million in new development to a neighborhood where it already owns two dozen buildings. The project at 45-55 Brighton Ave. would put a five- and six-story building with street-level retail and 72 apartments on the site of an AutoZone and surface parking lot. Just behind it, on Gardner Street, Hamilton would restore an old Victorian home as the lobby of a new, larger, four-story apartment building. Most of the units would be two-bedrooms, and rents, Hamilton Co. said, would be well below downtown prices. The project would include 215 parking spaces. Parking and traffic can be contentious issues in the neighborhood. A project just up Brighton Avenue was recently rejected by the city’s Zoning Board of Appeal in part over concerns about parking. Hamilton said it has been talking with neighborhood groups in recent months and has already tweaked its designs in response to their concerns. Pending BRA approval, the company hopes to break ground on the Gardner Street project in 2018, with the Brighton Avenue building to come later.